ChiIL Live Shows caught up with PigPen Theatre for their EP release party at Schubas the Monday before last. They're not only gaining fame and acclaim with their stellar theatre show, The Old Man and The Old Moon at Writers Theatre, they are rocking an every other week residency throughout October & November. Check 'em out at Schubas on Monday nights. These guys are the real deal! If someone beat you to it for this Monday, no worries. Enter below for a free pair of tickets to either or both of their November residency dates. We have a review of their new EP release coming shortly. For now, check out our photo recap from the first night of their Schubas residency. They played to an enthusiastic packed house. If you dig highly creative, lyrical folk & alt country, do not miss PigPen. Highly recommended. They harken back to the 70's, when it was easier to find bands where every member was a uniquely talented musician, rather than a passable collective playing back up to one genius lead. PigPen is a pleasure to hear and they particularly shine live. It was great to see how effortlessly the boys swap out instruments. We met a couple at the first Schubas show, who had seen them in New York and couldn't wait to check them out again in Chicago. PigPen may not have The Grateful Dead's legacy of legions of travelers yet, but it appears they already have at least two cross country fans! Another admirer sent the band shots all around. 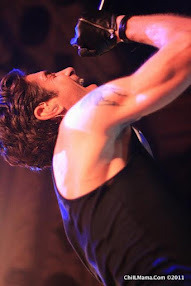 Click here for ChiIL Live Shows prior PigPen coverage including our theatre review. The guys are in Chicago performing their full-length production, The Old Man and the Old Moon, at Writers' Theatre through November 10, after which they'll embark on a U.S. concert tour. 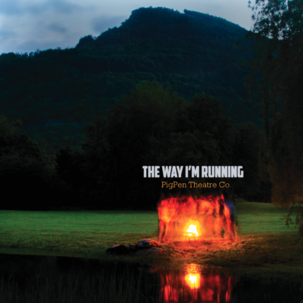 On October 8 award-winning, seven-member indie-folk band/theater troupe PigPen Theatre Co. released The Way I’m Running, a five-song EP of all new material. Recorded in New York City with producer Ron Robinson Jr., the songs were conceived and arranged on the road as the band toured in support of their critically acclaimed debut album, Bremen, named one of the top 10 albums of 2012 by The Huffington Post. In addition to touring the U.S. this summer, PigPen spent two weeks in residence at the Williamstown Theatre Festival workshopping the new Chicago production of their Off-Broadway hit The Old Man and The Old Moon. The show, which played more than 100 performances in NYC last fall, will have its Chicago debut in a new production at Writers’ Theatre running September 3–November 10. The guys of PigPen began creating their unique brand of music, film and theater as students at Carnegie Mellon University in 2008. They went on to become the first group to win top honors at the New York International Fringe Festival two years in a row (2010 and 2011), and their first commercial Off-Broadway production The Old Man and The Old Moon received critical raves, running from September 2012–January 2013 at The Gym at Judson (located in the iconic Judson Memorial Church). 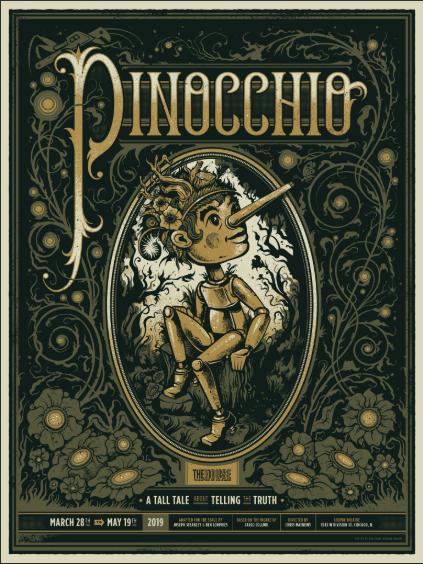 PigPen Theatre Co. has performed at New York’s famous Barrow Street Theatre, Bowery Ballroom, Joe’s Pub, Mercury Lounge, The Irondale Center, The Gym at Judson, the Boston Center for the Arts, and has sold out theaters nationwide with its shows The Nightmare Story, The Mountain Song and The Old Man and the Old Moon. Their work has earned them critics’ picks from The New York Times, Time Out New York, New York Magazine and The Huffington Post, among others, with reviewers ranking their productions among the top ten theatrical events of both 2011 and 2012. The group recently gave a TEDx Talk on storytelling. Something old... something new... The Old Man and The Old Moon is a NEW play that starts the NEW season of Writer's Theatre. This one's high on our must see list. Book your tickets in advance for the best seats. Previews are currently running. We were there to review for the press opening night 9/12. Click here for our prior coverage and the full scoop on The Old Man and The Old Moon. 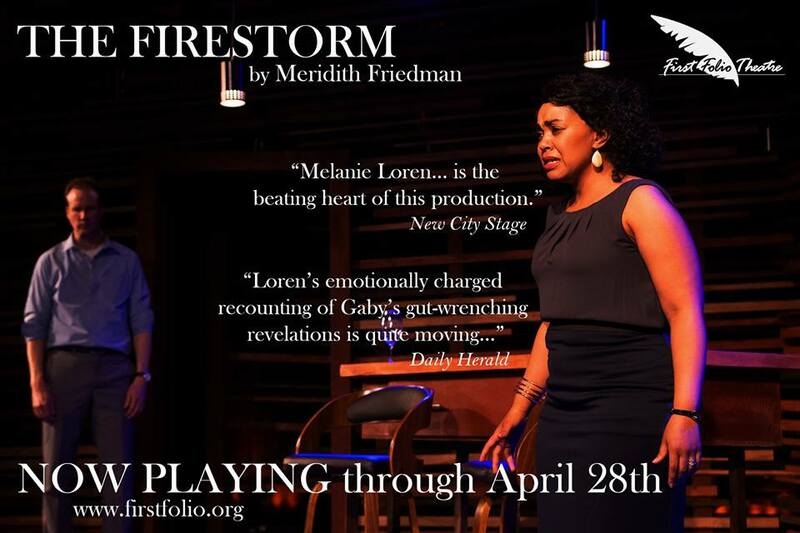 Directed by: Associate Artistic Director Stuart Carden and PigPen Theatre Co.
Alex Falberg, Ben Ferguson, Curtis Gillen, Ryan Melia, Matt Nuernberger, Arya Shahi and Dan Weschler. Find Writers Theatre on Facebook at Facebook.com/WritersTheatre or follow Writers Theatre on Twitter atTwitter.com/WritersTheatre. For more information, visit www.writerstheatre.org.